Isn’t it ironic that when you are sick, all you ever really want is to catch some shut-eye, yet when we do end up in the hospital for being ill, we can barely get a decent amount of uninterrupted sleep? 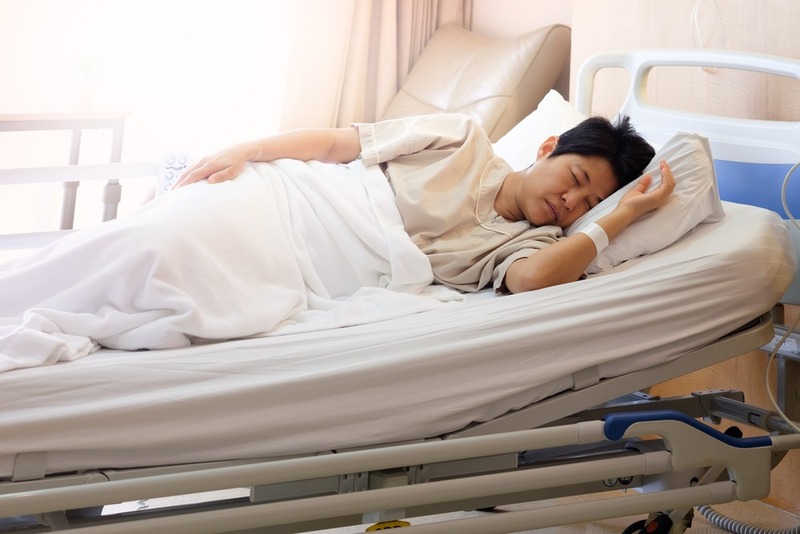 The current design of hospital care is not one that is actually promoting sleep in hospital settings, and almost always guarantees sleep disturbance. In fact, a study on sleep quality in confinement showed that the average sleep a patient gets in the hospital is 83 minutes shorter than they do at home. And in many instances, these factors are mostly non-related to the illness. Frequent visits by staff, noise, and brightness have been identified as some of the most common sleep disruptors to patients. Of course, it goes without saying that many of the staff visits throughout the night are necessary and part of hospital protocol. Vital sign checks, blood sample extractions, and administering of medicines are some of the common causes of visits by clinicians and are actually essential in the care of critically ill patients. However, in many cases, the frequency with which they come and the time lapsed between each visit are either unnecessary for non-critical patients and/or disruptive of sleep and rest for sick patients. In all of these situations, hospital protocols took precedence over rest. But what about rest? Just how important is it for medical facilities to make changes promoting sleep in hospital settings? What are the adverse effects of poor sleep quality to recovering patients? And how exactly can hospitals create more restful environments without compromising on hospital protocols and the quality of care they provide? More than just general discomfort and exhaustion, lack of proper sleep is detrimental to the health of a patient in recovery, a period known in medical literature as ‘post-hospital syndrome’ – an extended period that makes patients post-confinement vulnerable to a myriad of health problems. This includes everything from a weakened immune system that renders patients less capable of fighting off infections and weakened lung and cardiovascular function to confusion and delirium in patients in intensive care. Promoting sleep in hospital settings is also essential not just for the time that patients spend in confinement – it also helps them become more proactive in their after-hospital care, like being more competent in following doctor’s orders and participating in activities that boost their wellness. Fortunately, a growing number of healthcare professionals are becoming more aware of the importance of sleep in recovery and how the current hospital operations and protocols are disturbing patient sleep. Through studies and experimentation, plus useful technology to aide in this, many hospitals across the country are working on coming up with better and more effective solutions to promote sleep in hospital settings. Prioritize sleep and rest in care protocols over testing in cases where it applies. Round-the-clock tests and monitoring are absolutely necessary for critical care patients – but certainly not all patients. The simplest change in the timing of delivery of hospital routines, such as vital signs checking and medicine administration, scheduled in such a way that promotes long and uninterrupted sleep for patients can deliver up to 38% less sleep disturbance. It can include completely letting go of unnecessary vital sign checks, changing medicine dosage so administration is delivered at wider intervals (e.g. larger dosage medicines every six hours instead of smaller doses every two hours), or scheduling multiple visits to be delivered at once (e.g. blood extraction is done at the same time as medicine delivery and a vital signs check). Reduce unnecessary disruptions. Overhaul nighttime scheduling at your hospital, making sure that no unnecessary activities take place like cleaning and changing sheets, etc. It would also help to find better, quieter ways to deliver alerts from medical devices in-room to the clinician concerned without rousing sleeping patients. Reduce overhead pages. Where possible, use mobile communication devices within the hospital to reduce or completely eliminate noisy and disruptive announcements over the microphone system. Give patients options on how they want to sleep. This can be done through drawing the drapes, showing patients how to turn off the overhead lights in their rooms, or providing them with earplugs and eye masks. Use better linens. Transform your rooms into spaces that not only promote sleep in hospital settings but also into a haven for restoration and complete healing by making better linen and patient apparel choices. No one can sleep restfully when they have scratchy, rough, or smelly linens. Replace them with linens of better and more comfortable fabric quality to help boost sleep and relaxation. Hospital confinements are never fun or something to look forward to. But a few significant tweaks and prioritizing sleep as part of recovery and restorative care practice can help make the ordeal a whole lot more tolerable and reduce re-admission rates. Get better linens for your medical facility from Unitex! Contact us today to get a free quote and learn more about how we can help your healthcare business. © 2019 Unitex Textile Rental Services, Inc. All Rights Reserved.